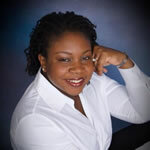 Dr. Linda F. Gorham is the President and Founder of Spring in the Desert Ministries, Inc. She received her Bachelor of Science degree in Psychology from Morgan State University and her M.A and Ph.D. degrees in Applied Developmental Psychology from the University of Maryland Baltimore County. She received her Master of Divinity degree from Biblical Theological Seminary in Hatfield, PA. In addition, she completed specialized training in Clinical Pastoral Education and has served as a chaplain at Gettysburg Hospital in Gettysburg, PA and at Utz Terrace Lutheran Retirement Community in Hanover, PA. Responding to God’s call to begin a prayer and bible teaching ministry, Dr. Gorham launched Spring in the Desert Ministries, Inc. (SDM) in March 2012. SDM has grown to include an outreach ministry to young boys in juvenile detention; discipleship, counseling, and spiritual care ministries; and a new church plant, SDM Community Dinner Church, located in northern Baltimore County. Dr. Gorham has been married to James A. Gorham, Jr. for more than 40 years. In addition to serving together in Spring in the Desert Ministries, they are co-founders of Dayspring, Inc., a private, non-profit organization that has provided educational programs for children and youth in Baltimore, MD for more than three decades. Dr. Gorham and her husband have three adult children and five grandchildren. In her leisure time, she enjoys playing music and collecting a variety of musical instruments. Most of all, however, she is humbled to be called a servant and friend of God. 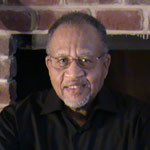 James Arthur Gorham, Jr. has served in congregational ministry for more than forty years as a deacon and trustee. He is a veteran of the United States Air Force and received his undergraduate degree in psychology from Morgan State University. He retired from IBM after a 40-year career working primarily in the area of large systems software support and sales with particular emphasis on direct customer engagement. He and his wife, Linda, reside in Parkton, MD. 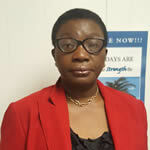 Pastor Funmi Afolabi presently serves as Pastor and Administrator in Throne of Grace and Miracle Ministries, Baltimore, Maryland United States of America. She holds an LLB (Hons) from University of Wolverhampton in England, BL (Nigerian Law School), a LLM from Lagos State University, Nigeria, and has received a post-graduate diploma in Bible and Leadership Studies/Theology from The Redeemed Christian Church of God Bible School, Ikoyi, Lagos, Nigeria. Pastor Funmi also successfully completed the Clinical Pastoral Education program at Johns Hopkins Bayview Medical Center, Baltimore, Maryland. Before she was called into ministry, she was a lecturer at Lagos State University and a Principal in her law firm Afolabi and Co. Pastor Funmi has authored three books: As Your Days Are, So Shall Your Strength Be, My God Shall Supply All My Needs, and Encourage Yourself. In addition, she is the Baltimore County Coordinator of African Strategic Prayer Leaders Network, a group that networks to pray for the nation and the body of Christ. She enjoys reading, writing and working with young people and is happily married with children. Yvonne Gross, RN, MSN/ED has been a professional nurse in long-term care settings for nearly 40 years. 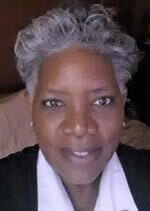 She has a Master’s degree in Nursing with an education certification and certification in Gerontology. She serves faithfully in several leadership positions related to worship and liturgical dance ministries as well as usher and culinary ministries in her local church. In the area of finance, Yvonne Gross is experienced in preparing individual and small business tax returns and in auditing church financial statements. She is married and has two children and three grandchildren. Rev. Dr. Mia Chang is the lead pastor and founder of NextGen Church in West Windsor, New Jersey. Rev. Chang was ordained in 2008 by the American Baptist Churches of New Jersey. She completed her Master of Divinity studies at the Alliance Theological Seminary in New York City, and obtained her Doctor of Ministry at Palmer Theological Seminary of Eastern University. Rev. 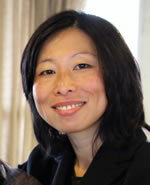 Chang resides in Princeton Junction, NJ with her husband Steve Ku, and two daughters, Kendall and Kaylin. Pastor Donald L. Coleman currently serves as Lead Pastor/Co-Founder of East End Fellowship, a multi-ethnic, economically diverse church in the East End of Richmond, a church seeking God’s joy and justice for their neighborhoods out of love for Christ. Pastor Coleman has over 25 years of urban ministry experience in Richmond, VA where he has tirelessly worked for the spirit of reconciliation to impact his city. He has also served on various boards and initiatives that promote the functional unity of the body of Christ. One such initiative is “Bless Richmond”, an annual initiative that brings together over 50 different churches and more than 1000 people to worship, pray and provide food for the hungry. 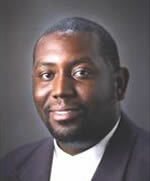 In addition, Pastor Coleman’s ministry in Richmond has included serving as an elected member of Richmond Public Schools School Board for eight years, two of those years as chairman of the school board. He is married to Florence (for 30+ years) and together, they have raised two daughters Selah (recent graduate Old Dominion University) and Shekinah (married to Demetrius). Pastor Coleman’s life motto is: Serving others into their greatness! 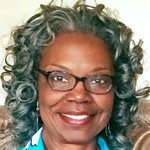 In her journey as an educator, consultant, entrepreneur, author, and leader, Dr. Joy Gorham Hervey has devoted her life to supporting churches, agencies, and organizations as they seek to meet the needs of children, youth, and families in underserved communities here and abroad. A native of Baltimore, Dr. Hervey completed her Bachelor’s degree and Master of Education degree at Harvard University. She completed the Doctor of Education degree in educational leadership and administration at Columbia University Teachers College. Currently, Dr. Hervey serves as Director of Global Missions at George Davis Ministries & Impact Church, where she works to mobilize, equip, and empower community members to make positive change. She also directs the Arlington 20/20 community transformation initiative. She and her husband, Dr. Eurmon Hervey, have two teenaged children.